It lasted for a good 5 or 6 years. There were 8 of us. We loved fashion, dancing, long arduous hikes up popular Runyon Canyon, and late night gab fests. We were always in Bible studies together, usually at my place-meeting together every week to dig deep and share our heart-longings, hurts, and happy achievements. They were girly-girls like me and we had deep connections in many areas of our lives. I was chock full to the brim with girlfriend goodness. When I went to church, someone was always there ahead of me with a seat reserved. And vice versa. We protected one another, believed the best about one another, had major differences at times-but we hashed them out and grew stronger. We prayed for one another, lived life together, and pursued our dreams of having families one day. And that day came for me, first. I met Guy on a church ski trip in Mammoth Mountain with said girlfriends. And within two years, we were toasting to the future and eating cake at our wedding reception. The girls stood by me when I promised him forever, dressed in shades of pink and holding bouquets of Tuber Roses. And then three months into our marriage, I was pregnant. If marriage didn't separate me from the group enough, having a newborn baby boy with lots of needs sure did. After several years, a handful of them would also marry and begin to start families. Many of us moved away, some even out-of-state. I was willing to drive to meet up with my friends but it seemed that a regular get together was always just out of reach. The circle changed. It widened to take in the careers, spouses, children, and circumstances of new chapters in life. I assumed that the new chapter of being a stay-at-home mom and wife would be totally fulfilling and that other friendships with moms or families from school, or our new church would provide those same deep bonds of friendship that enriched my life when I was single. I knew lots of wives and moms who had a BFF and they shared playdates and girls' nights out. But those tight friendships never came. There were short periods of time with great women who blessed me, but I longed for that one or two (or eight!) tight girls after my own heart that loved shoes, going to the beach, and weekly coffee dates sans kids. I imagined that just around the corner was that woman, a like-minded boy mom who would understand me, love me, and pour their life into mine. On a mission for friendship, I went to classes with the kids, joined meetup groups, went to Bible studies, invited anyone I saw at the park who seemed like a normal person to give me a call sometime. I chased every lead. I served at church, volunteered to host any and all playdates, and invited families over for dinner every chance I got. We would have lovely dinners, and our kids would have a great time together, and each time I wondered if it would develop into something deeper. But it never did. I tried organizing girls' nights out but usually had to cancel when I was the only RSVP. My phone stayed silent. No one was calling me. Though I felt that I had a lot to offer, no one was willing to commit. And I totally got it. I have a high need for community. Regularly. Not everyone else does. I'll admit, this chapter is one of the hardest of my life because I feel such a deep void of "my people". It's been years since I had the kind of friendship that felt like home. 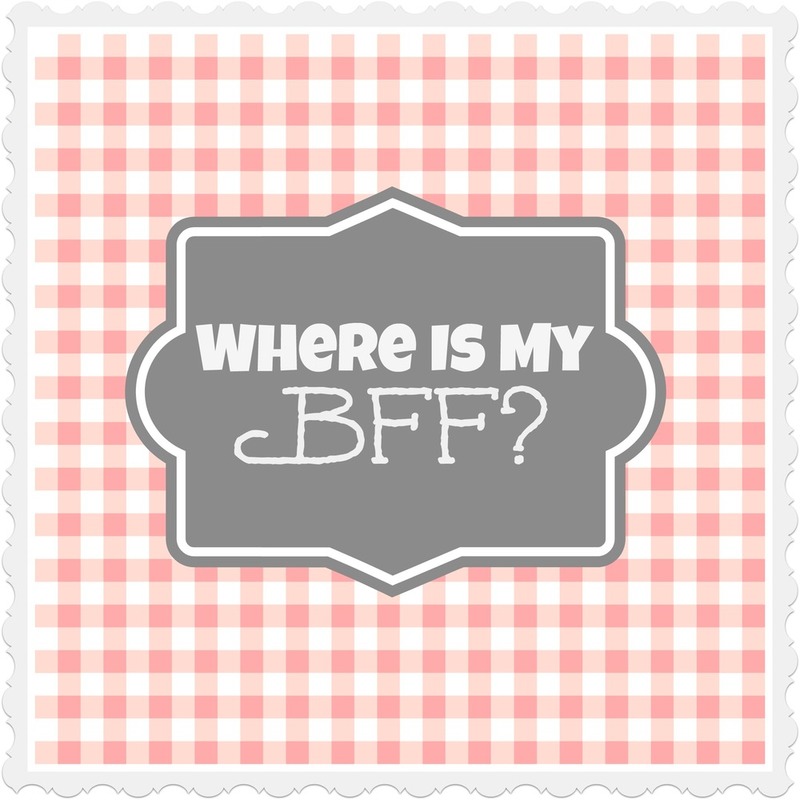 And as hard as I try, that local BFF I desire eludes me still. I finally found a dear friend this past year-that wonderful boy mom whose family likes to go to the park with our family at a moment's notice and has us over for dinner even if the house needs a little work. She prays for me and makes a concerted effort to be a great friend. We click in so many ways. Just when I thought this was God's answer to my prayers, she informed me that she is moving to another state. I'm so thrilled for her, but devastated for me. So I'm in a new place of leaning on Jesus, praying every day for that one woman who lives right around the corner, understands that though my boys jump from the roof that I am not a bad mom, notices my new shirt and loves the way it makes me look slim, cheers for me when I'm pursuing my dream, affirms me when I'm doubting and speaks the Truth of God's Word to me, lovingly lets me know when I have thinking that is not Godly, and shows up on my doorstep with a chocolate bar when I'm having a tough time-but makes me burn it off later with a good jog together. A friend who reads my blog, comments regularly and encourages my gifts. Someone who prays for me. With me. That friend who is deeply spiritual and is living a radical and passionate life for Christ. Someone who doesn't mind if I pop over unannounced and lets me be an "Aunt" to her kids. A friend who shares her struggles with me and allows me into the deep places of her heart. Someone who knows all my failures and weaknesses and yet, dignifies me. And would it be too much to ask if our husbands got along too? Not a day goes by that I don't miss having a Best Friend Forever in my everyday life. I often find myself looking at my phone wondering if someone is going to call and check in on me-call just to say the Lord put me on their heart today. My Grandfather once told me, "Amber, it's better to be alone in the desert and in the center of God's will than anywhere else". And he was right. God has not allowed that companion I dream of to be in my life right now. He's refining me as I grow stronger in my friendship with my husband, and He reminds me that though community is a central aspect of His plan for our lives, that He is always enough for me. The bottom line for me is that God tells me to be content. I have long wrestled with the balance of my heart's desire with what it means to be satisfied. Paul said to the Philippians, "for I have learned to be content in any circumstance" and I want that to be my mantra too. With food and clothing we should be content, and to be honest, I'm not. So I keep praying for my heart's desire and that God would somehow marry His truth to my longings so that I am satisfied in Him alone. When my loneliness creeps in, I turn to God, asking Him to fill my heart and remind me of my many blessings. My prayer is that even though I trek through a hot and barren desert, that I will be well-watered. And may my heart be satisfied in Christ alone, the truest Friend, and my greatest Comforter. With Jesus, I always belong. He is closer than a brother, and with Him, I can be satisfied. YOUR TURN! How did you meet your BFF? In what ways do your compliment each other's lives? How do you keep the friendship strong through the changes of life? Follow me on Facebook for more inspiration and discussion! Find me on Twitter: Amber Lia and Instagram: MotherOfKnights. Start pinning onPinterest as well!